SEMI manufactures for sale and rent off-road flotation wagons (pipe trailers). These wagons can haul up to 80’ joints of pipe in all diameters. 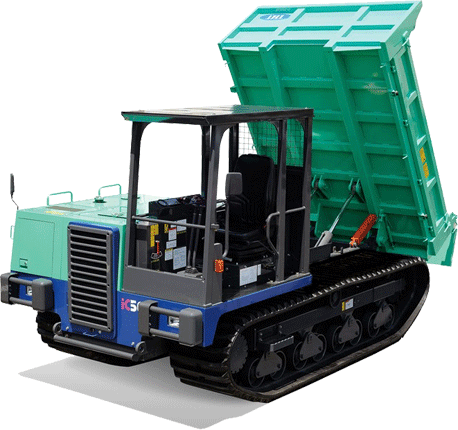 Choose from our standard units which are equipped with eight flotation tires and are towable from either end. 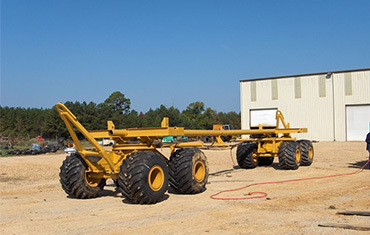 Customers can also choose the fifth-wheel option flotation trailer to be pulled by a specially modified crawler carrier. 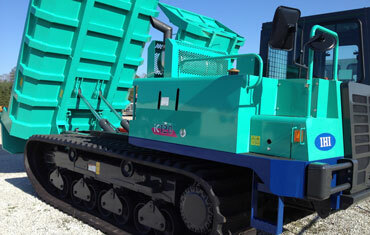 SEMI has the largest fleet of IHI and Morooka crawler carriers for sell and rent. These versatile LGP carriers come standard or in a multitude of specialty units equipped for pipeline and utility construction. For pipe hauling and stringing needs, customers can choose from our large fleet of over the road pole trailers designed to haul up to 80’ pipe. 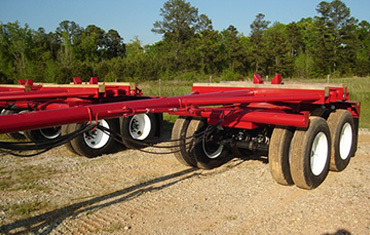 Manufactured in Louisville, MS, these trailers are available for sell and for rent. Special requests are welcomed for those clients looking to add to their company owned fleet. Our team understands pipeline construction. Our founder and president spent many years in the field, domestically and abroad, working for a major pipeline contractor prior to starting SEMI in 1980. We understand the equipment demands of contractors, logistics, dependability, safety, and the importance of our client’s ROI when completing a job. We have years of experience, not only in the equipment business, but specifically the pipeline construction industry. Which allows us to better understand our clients needs and provide solutions for nearly every phase of the project from clearing and grading to final clean up. Many of our team members have spent years working for pipeline contractors here and abroad prior to joining SEMI. This unique experience allows us to better serve our clients and the industry. The SEMI brand is known nationwide for having the fleet and resources to support our clients wherever they are working. Our team, along with our strategic partners will see to it that the client has what they need when they need it for the successful completion of the project. Not only do we offer equipment for nearly every aspect of pipeline construction, we are constantly working with our customers to continuously innovate and improve our offerings. SEMI also offers turnkey solutions for utility companies, electric cooperatives, and electric contractors throughout the United States. We have partnered with numerous contractors and clients on various distribution and transmission projects. We continue to provide heavy equipment for environmental, Army Corp of Engineer, and disaster clean up operations as well.